Summit is the newest restaurant at the Broadmoor and serves up American brasserie fare. 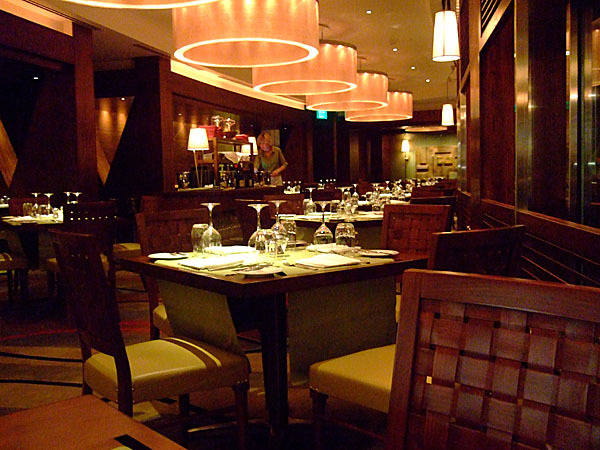 It is also one of my favorite eateries and one of the ones that I wanted to come back to the most. 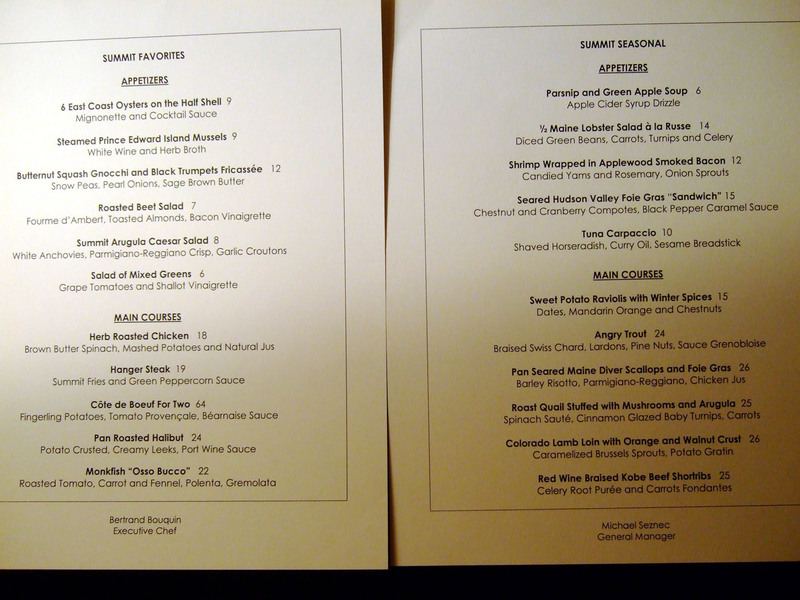 Summit is headed by executive chef Bertrand Bouquin, who also heads up the newly re-opened Penrose Room. I imagine Chef Bouquin will be working at the Penrose more often now, but I'm sure his staff will have no problems maintaining the quality. Summit gets my vote for the best decor in the Springs (I'm sure that'll change once I revisit the Penrose Room however). 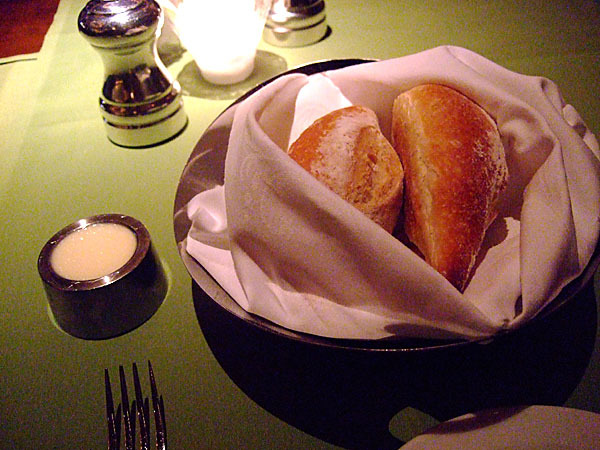 Hearty bread is served with a soft, spreadable, salty butter. Bacon-wrapped scallops are the norm so why not extended that paradigm to shrimp? 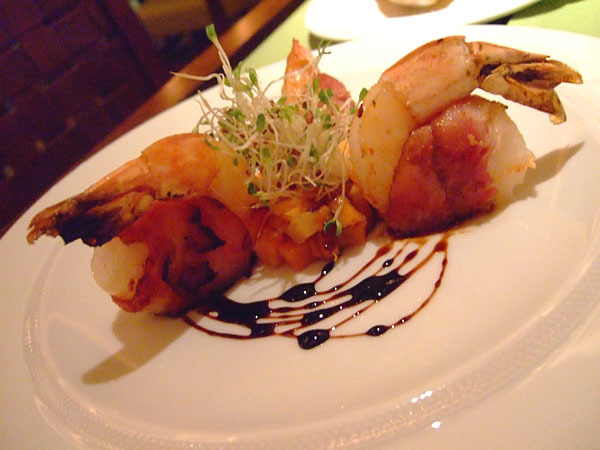 It certainly works well here, with the bacon's smoky flavors complementing the subtle sweetness of the shrimp nicely. I had my server pair this course and the next with a wine; she chose the Albariño, Burgáns, Rías Baixas, Galicia, Spain 2005, which I really enjoyed. This was, without question, my favorite dish of this entire trip. 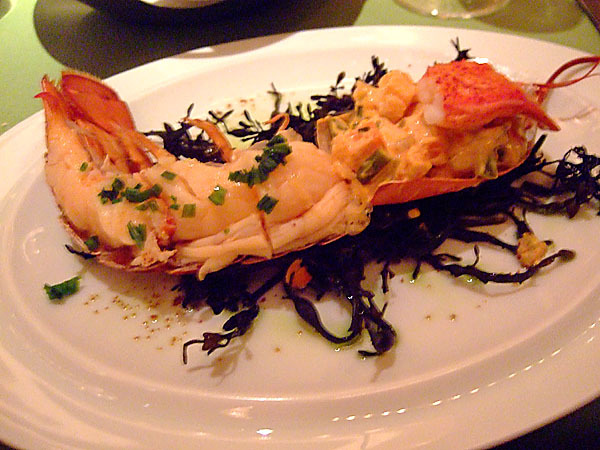 A half-lobster perfectly cooked, flavored simply, with a mix of vegetables reminiscent of potato salad. Wow. I believe this was my first experience with quail, though hopefully not my last. 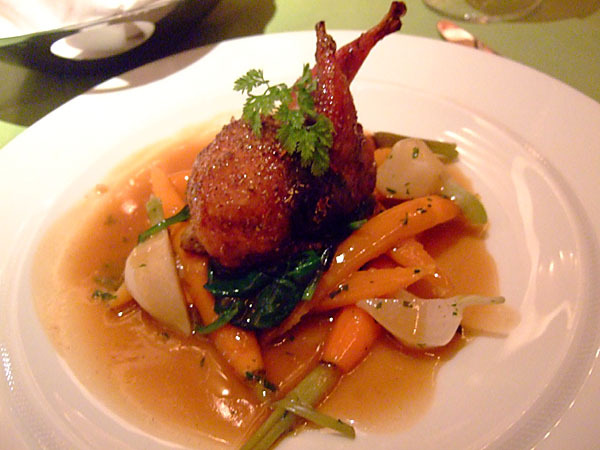 It is an intensely flavored bird, though I can't really compare it to chicken, duck, squab, or really any other fowl. My one complaint was that it was served with bones intact, which made eating it a bit tricky. 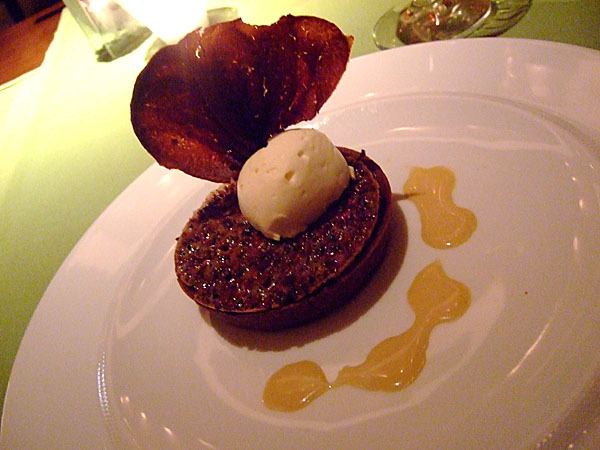 A competent chocolate tart that wasn't nearly as creative as the rest of the meal. The ice cream was a welcomed addition. Summit has a "Favorites" menu that doesn't vary much (ordered the gnocchi last time I was here), as well as a changing "Seasonal" menu, from which I ordered this time.